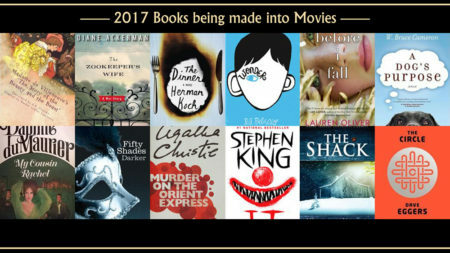 We are living in troubled times. Crimes against humanity have reached a large-scale and have become a real cause for concern and people across the world are divided today. 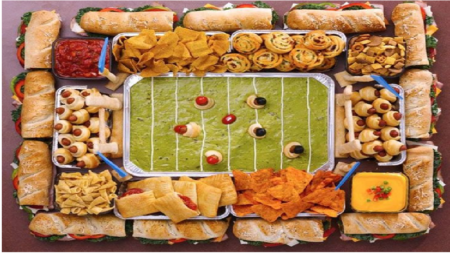 There is one thing that unites people all over the world, and that is stuffing our faces with delicious food. The holiday season has become an excuse for people all over the world to gorge on some of the most mouth-watering, sumptuous food. Christmas is one such occasion, where not only faithful Christians, but even the heathens gather around tucking away large spoonsful of yumminess. Christmas dinners look different around the world. 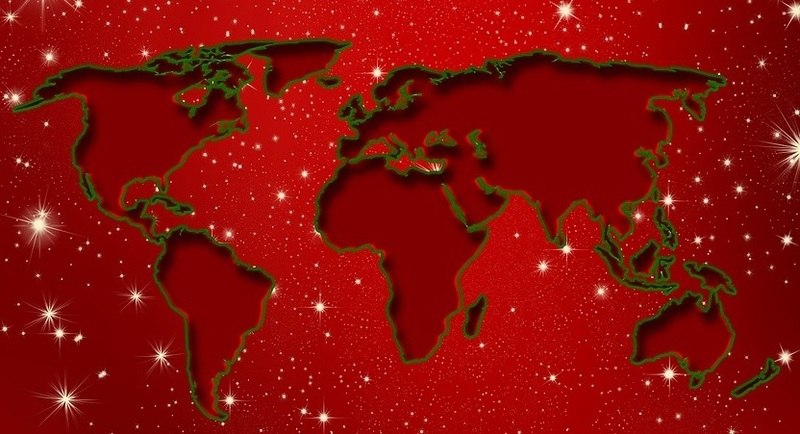 Generally, holiday traditions, especially Christmas meals are influenced by your nationality and the kind of livestock available in the region. This kind of diversity has given birth to an incredible array of cuisines on display on your kitchen table. 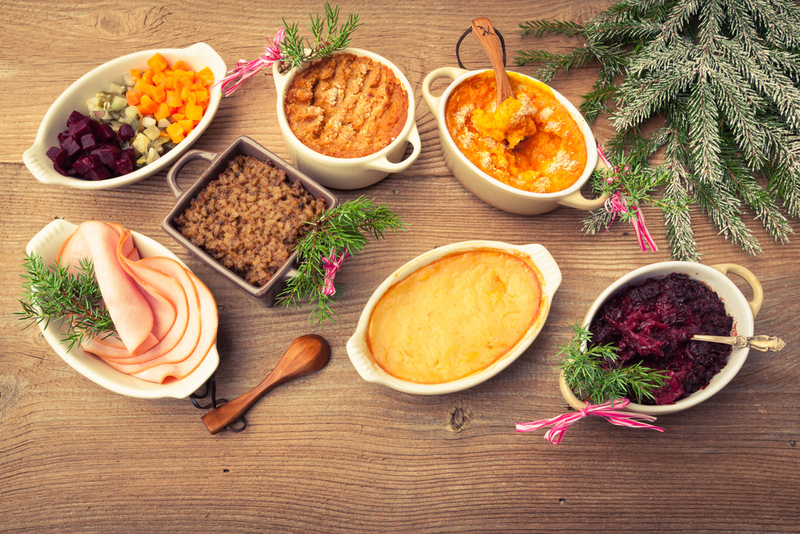 Here is a list of some delectable and some outlandish Christmas meals around the world. Christmas falls in the summer down under so most families combine a traditional Christmas meal with a classic Australian Barbee. 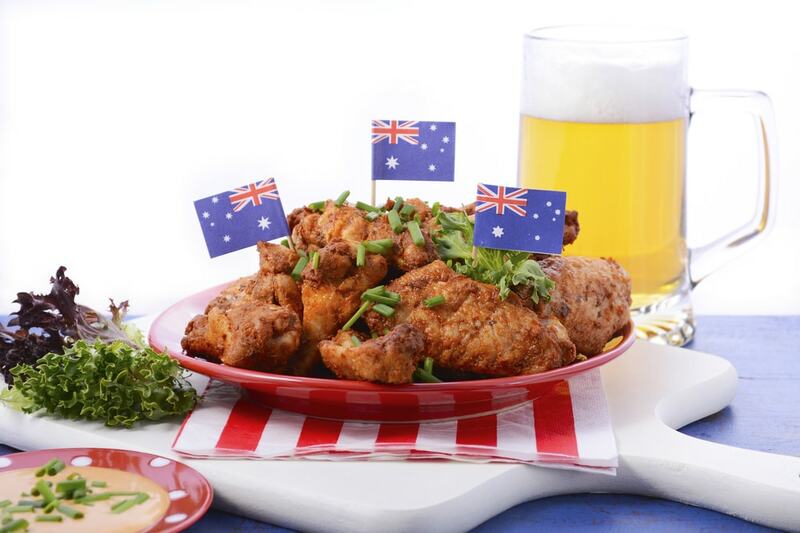 With the country being extremely varied by region, most people opt for barbecued seafood like oyster, lobsters, prawns and mix it up with traditional turkey meats. When people get together in the afternoon for their Christmas meal, they wear their paper hats, turn on the air-conditioning and try to forget the summer heat. Arroz con gandules – yellow-rice and pigeon peas with olives, capers, and pieces of ham. Ensalada de pulpo – Octopus salad. Escabeche – boiled green bananas and chicken gizzards in Puerto Rican style escabeche. Coquito – Puerto Rican spiced coconut eggnog. La Danza – champagne mixed with fresh fruits. 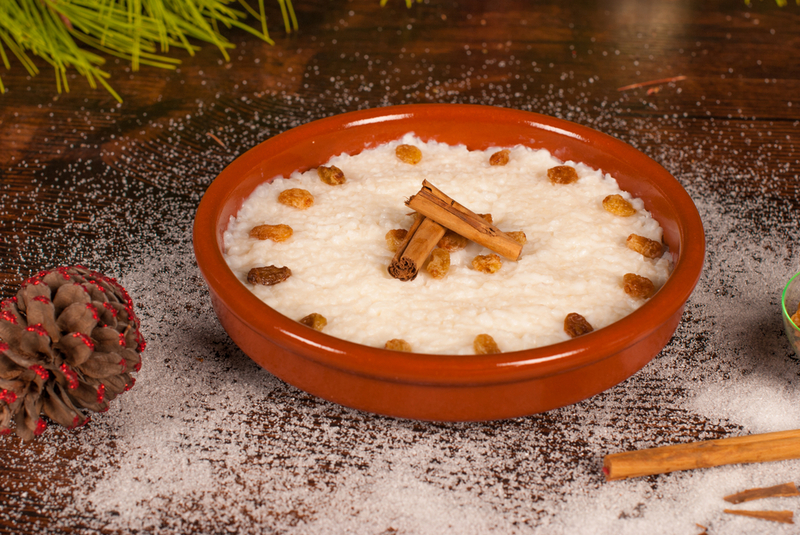 Arroz Con Dulce – Traditional Christmas Rice Pudding. 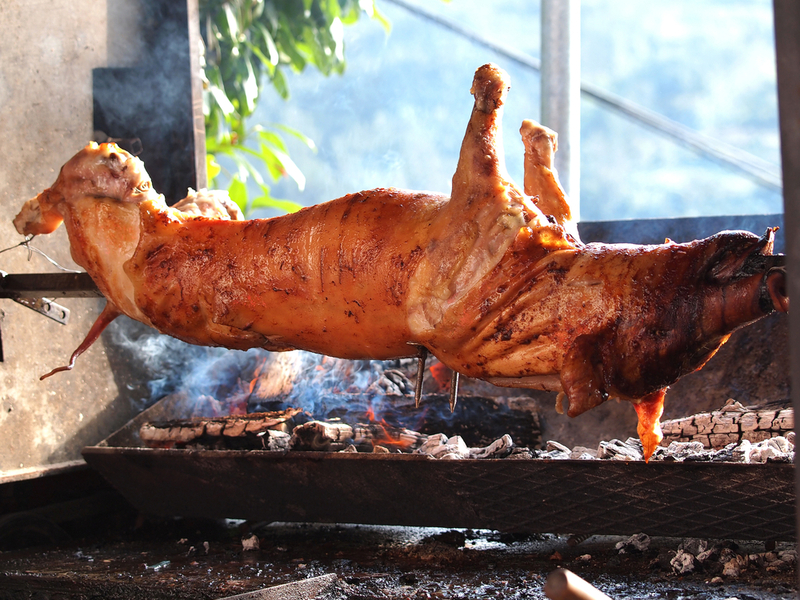 The Puerto Rican national dish is their roast suckling pig called Lechon. A whole is hung on a spit from the wee hours of the morning and needs two people constantly to baste it for hours as it rotates ever so slowly, crisping on the outside while all juicy and oozing on the inside. They eat the pig along the Arroz Con Gandules, which is a yellow rice dish made with peas, olives, capers and pieces of ham. 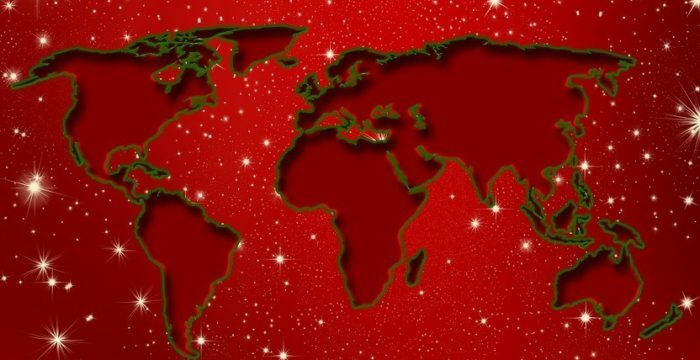 For the colorful and culturally diverse people of Brazil, Christmas reflects the country’s mix of Portuguese, African and Latin American heritage where several traditions are combined. Throughout the country, Christmas is a big deal and much like us American, Brazilians also eat Turkey during Christmas; but in true Brazilian style, the bird will be served with local exotic fruits. One of the more popular dishes besides Turkey is the Bacalhau or codfish. In this preparation, the fish is rolled into balls and salted and kept as a centerpiece dish. 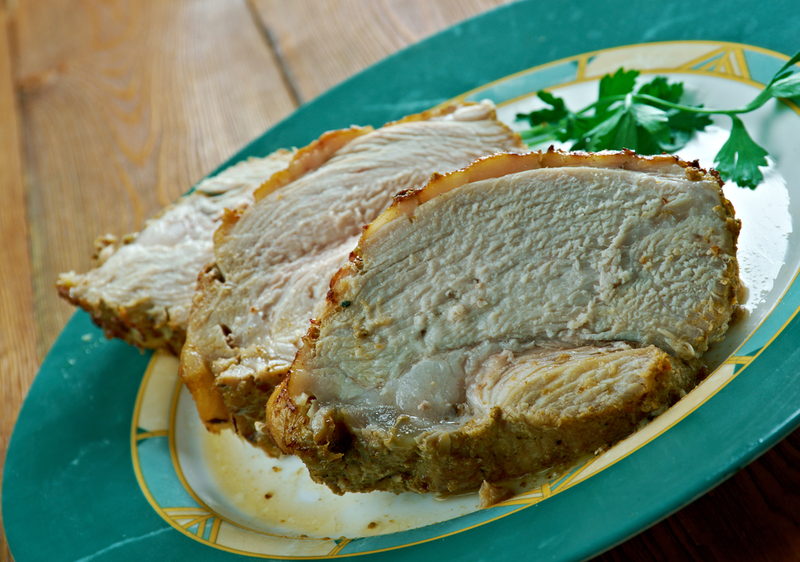 Leg of pork, bone or boneless, baked in a wood oven is also served for its nice, smoky flavor. Gløgg – mulled red wine combined with spices, sugar, raisins and chopped almonds typically served warm. 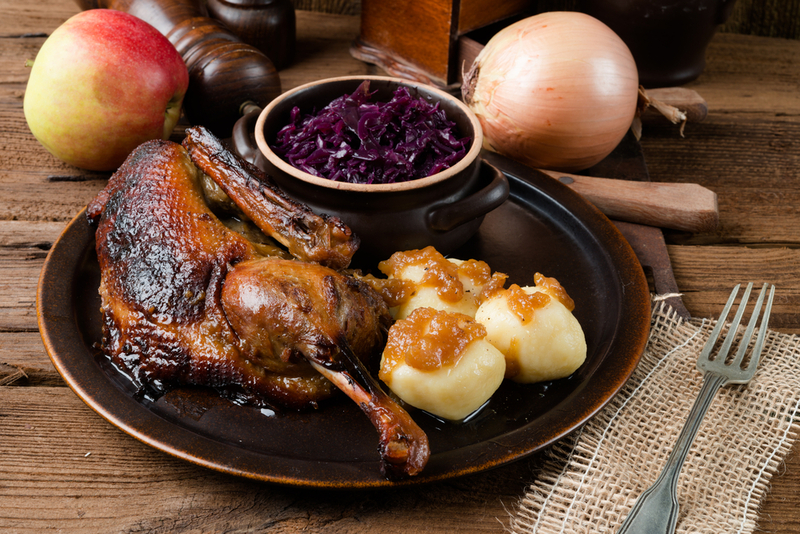 Julefrokoster or Christmas luncheon in Denmark consists of duck, goose or turkey, pickled red cabbage, potatoes and gravy, although every family has their own take on the meal. 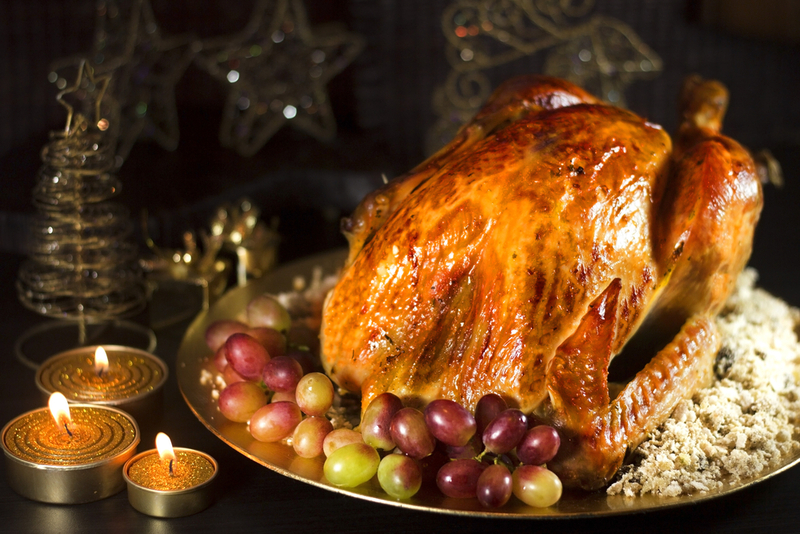 Some eat stuffed turkey with red currant jelly and waldorf salad while others stick to the traditional dishes. For dessert, everyone has the same – Risalamande – a creamy pudding made with rice, almond and served cold with cherry sauce. 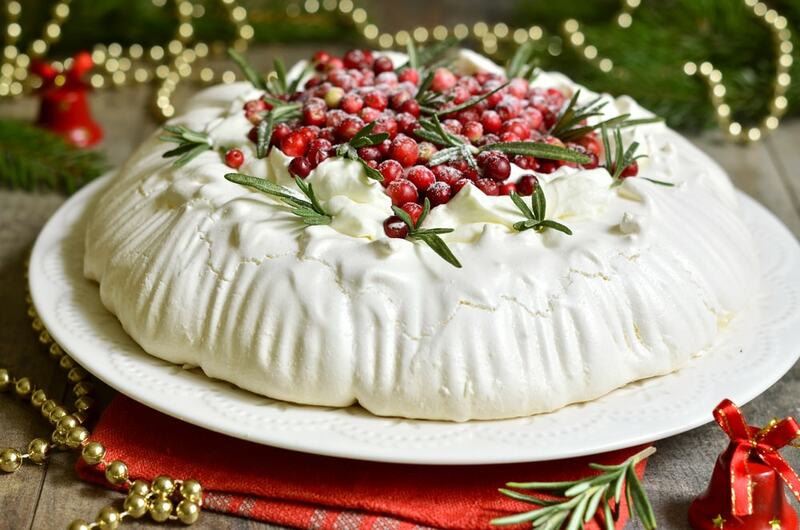 For the Finnish, the Joulupöytä or Yule table is a smörgåsbord of mouth-watering items. 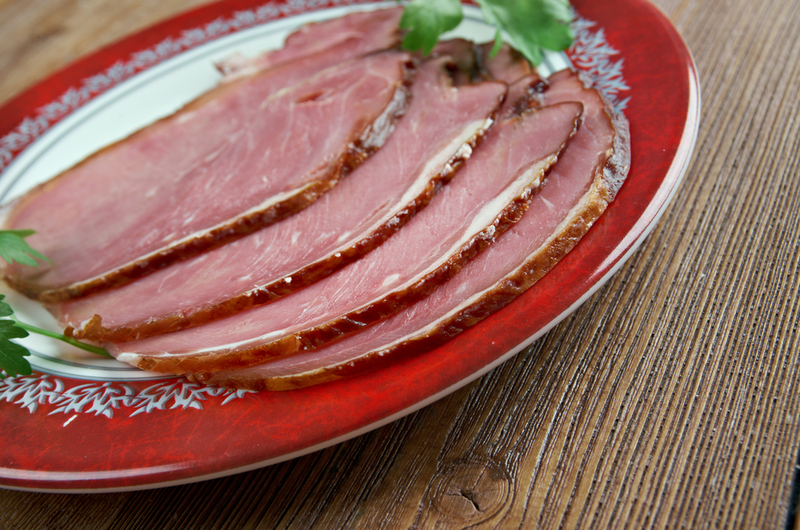 The star of every Finnish Christmas Dinner table is the Joulukinkku or Christmas Ham. No yuletide celebration is complete without this slow cooked ham which takes hours to prepare, but tastes delicious nevertheless. The Finnish also eat freshly salted salmon and whitefish during Christmas along with pickled herring. 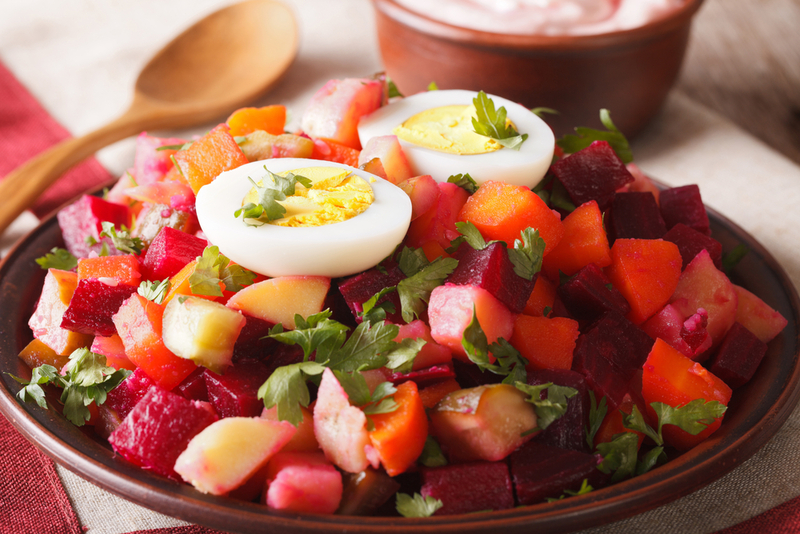 One of the typical foods is called Rosolli or cold vegetable salad. The French have a feast fit for kings in what is known as La Reveilion. This dinner marks a culinary highlight for the French who are known to have a unique love affair with food. The tone of the evening is set with the ever-favourite caviar or smoked salmon. No French culinary experience is complete without Oysters which the French have a big appetite for. This is followed by an array of expensive seafood like crabs and lobster. Foie Gras follow next smeared generously on slices of bread and paired with a sweet wine. Making a special appearance during Christmas, the menu will read of Escargot or snails, served with garlic and parsley butter and scallops. 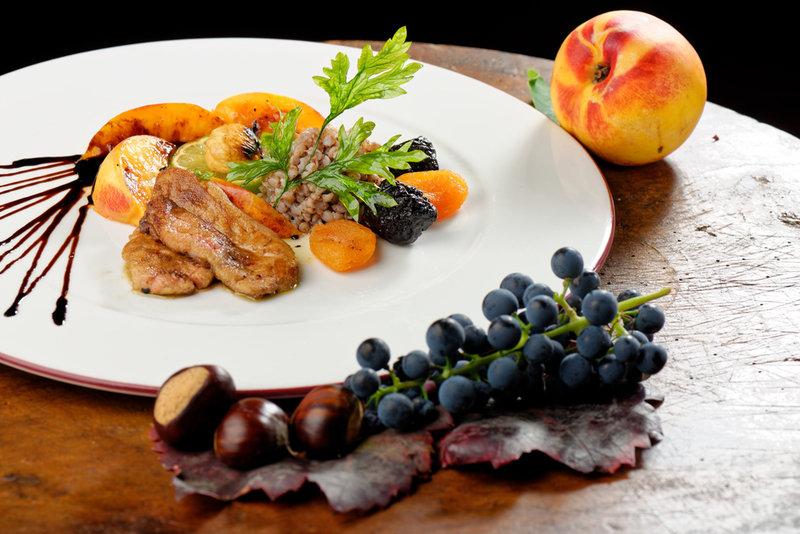 When it comes to the main course, it’s the Turkey with chestnut stuffing, then followed by all kinds of birds such as, guinea fowl, quail, pheasant, goose and of course chicken. Desserts is known as 13 desserts which represents Jesus and the 12 apostles. 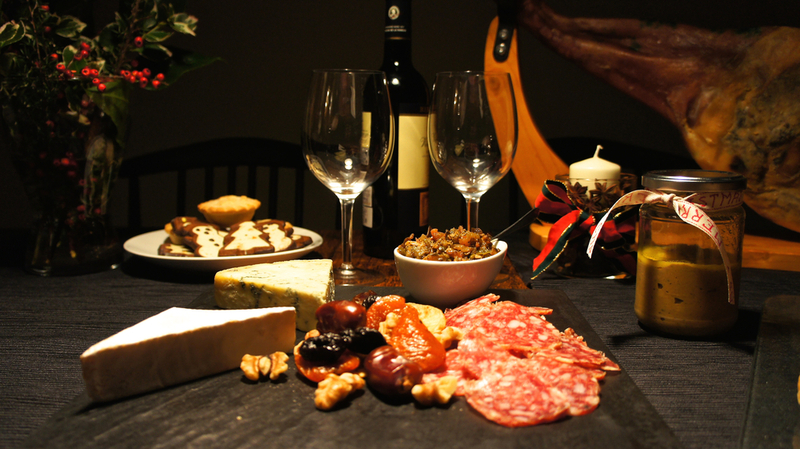 Dried fruit, figs, chocolate cakes are all parts of this feast. They wash down this enormous meal with Champagne. Ze Germans enjoy roast goose and roast carp along with suckling pig or duck. Typical side dishes include roast potatoes and different types of kale, Brussels sprouts and red cabbage. Typical desserts for Christmas include Stollen which is a fruited bread. Marzipan, spice bars called Lebkuchen, different types pf bread and fruitcakes are also favorites of German families. The Land of the Rising Sun has a completely different way of celebrating Christmas feast. 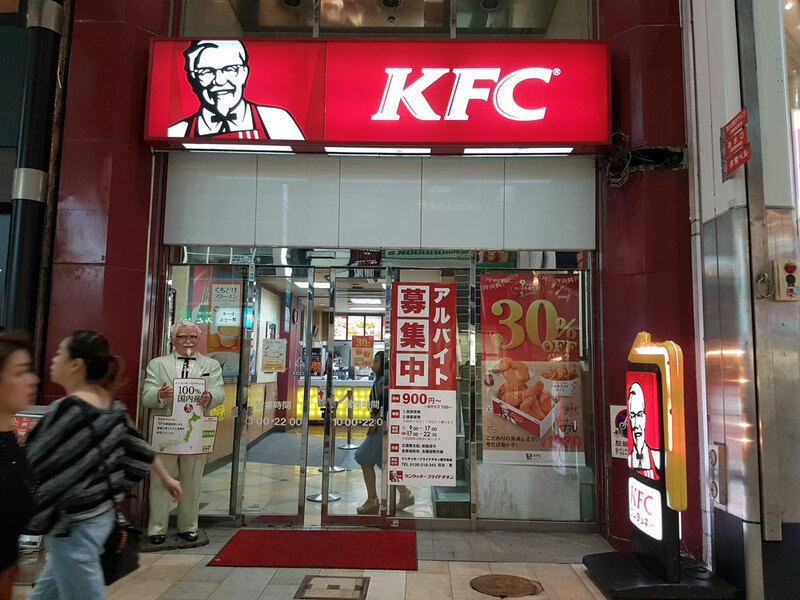 With Turkey being virtually unknown in Japan, most Japanese people head to believe it or not Kentucky Fried Chicken outlets and even place order two months in advance! For dessert, they eat a sponge cake, frosted with whipped cream and topped with strawberries. The Spaniards have a traditional culinary approach to food which is Turkey stuffed with truffles. Along with that is the special Spanish Dry-Cured Ham. In several parts of Spain, people are known to indulge in various types of seafood, from shellfish and mollusks to lobster and crabs. The Icelandic folks love a cold Christmas and get warmed up by stuffing their stomachs with Hangikjöt (simply meaning hung meat), an Icelandic smoked lamb, mutton, or horse meat that is boiled and served either hot or cold with potatoes in béchamel sauce and green peas. It takes its name from old tradition of smoking food where it is preserved by hanging it from the rafters of a smoking shed. There are several types of Hangikjöt, made mainly from parts of sheep. The whole leg on the bone with a good layer of fat, is usually considered the best of all. With such trials and tribulations all over the world, food has proven to be one of the most comforting thoughts today. 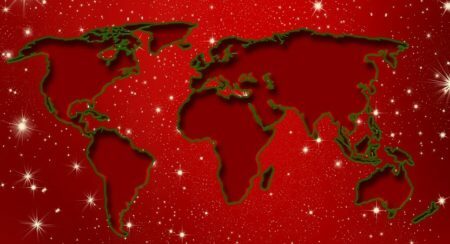 This Christmas, take inspiration from these amazing global cuisines and really have a Merry Christmas and a Happy New Year. 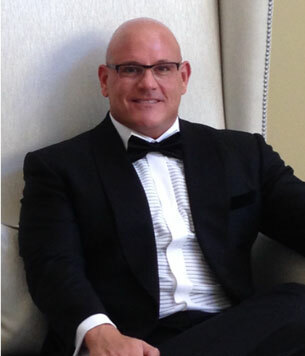 CEO of Golden West Food Group. I have more than 20 years of experience in Food manufacturing industry. Read my blog to know more about my insights on various interesting topics.